Is the new class of cholesterol-lowering drugs, called PCSK9 inhibitors, really a game-changer? Studies have shown that they will dramatically alter the cardiovascular treatment landscape, but will anyone be able to afford this new type of drug? And have enough results from trials revealed all the possible side effects? For now, the key concern appears to be their cost as these so-called revolutionary treatments come closer to an FDA approval decision. Heart disease is still the leading cause of death worldwide, killing upward of 600,000 Americans every year, according to the U.S. Centers for Disease Control and Prevention. High levels of bad LDL cholesterol, which can form into fatty plaque, raise the risk that arteries will clog, burst and cause a heart attack. More than 30 million Americans take a statin to lower their cholesterol, according to Harvard Heart Letter, but 1 in 5 suffer from side effects (the most common is muscle pain) that cause more than half of these patients to stop taking them. It’s no wonder that the impending FDA decision about whether to approve PCSK9 inhibitors is causing a buzz among cardiologists, drug regulators and investors. A better class of drugs for cardiovascular disease? This new class of injectable monoclonal antibodies inhibit the protein called proprotein convertase subtilisin/kexin type 9 (PCSK9), thus lowering low-density lipoprotein cholesterol (LDL-C). In essence, these drugs block the PCSK9 protein that prevents liver cells from processing LDL-C and clearing it from the body. The FDA will decide soon whether to approve two of the first PCSK9 inhibitor drugs under development, Praluent (generic name alirocumab), developed by Sanofi and Regeneron, and Repatha (generic name evolocumab), developed by Amgen. Both companies are asking the FDA to approve these drugs for use with a statin or as monotherapy in patients with familial hypercholesterolemia (FH), a genetic disorder characterized by high cholesterol levels, specifically very high levels of low-density lipoprotein (LDL) and early cardiovascular disease. Amgen has proposed evolocumab for treating adults with standard lipid disorder — including patients who are statin-intolerant — as well as for treating individuals ages 12 or older with the rare, inherited, life-threatening condition known as homozygous familial hypercholesterolemia (HoFH). Patients with FH are less responsive to the kinds of cholesterol-control methods which are usually more effective in people without FH (such as dietary modification and statin tablets). Recently, 2 back-to-back FDA Endocrinologic and Metabolic Drugs Advisory Committee panels strongly endorsed their approval because trial data on their ability to lower “bad” LDL cholesterol was dramatic (40-60% reduction of LDL) without any major adverse events, In addition, committee members were swayed by the unmet need in patients, particularly with an acute type of FH for which there are no effective treatments. Evolocumab is being tested against statin therapy in 27,500 patients for the reduction of the primary composite endpoint of cardiovascular death, myocardial infarction (heart attack), hospitalization for unstable angina, stroke, or coronary revascularization. Full results are expected in 2017. A similar long-term trial with alirocumab will include 18,000 patients with acute coronary syndrome randomized to PCSK9 inhibition or placebo on top of optimal medical therapy. Full results of this trial will be available in early 2018. The FDA has a deadline for deciding the fate of alirocumab in late July and in early August for evolocumab. With the outcomes studies 2 years from completion, the FDA will base its final decision on the current evidence, which the Advisory Committees have endorsed by a wide majority. The FDA doesn’t have to follow the lead of their expert panels, but it usually does. 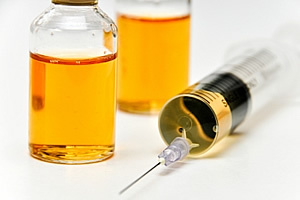 Given the need for new treatments in patients with familial hypercholesterolemia, the FDA could possibly approve the drugs for patients who have no other options, but the agency does not regulate the practice of medicine, so once the drugs are approved, physicians can prescribe them “off-label” to a wider population than those indicated on the drug’s approved label. Jeffrey Berger of New York University’s Langone Medical Center in New York, concurred: “I’m excited about how this class might work in those types of patients,” he told heartwire. Still, questions remain about the overall cardiovascular benefit of PCSK9 inhibitors because the trial data are based on surrogate endpoints. For 20 years, the FDA has used cholesterol reduction as a surrogate for cardiovascular (CV) risk reduction. The agency says that in the case of statins, the validity of reducing LDL cholesterol as a surrogate for reduced CV risk has been confirmed through numerous randomized controlled trials involving multiple drugs in the class and a variety of patient populations with varying degrees of baseline risk and LDL-C values. Given the agency’s historical acceptance of LDL-C as a valid surrogate endpoint for traditional approval, reductions in LDL-C have been accepted as a substitute for a demonstration of reducing CV risk. In the PCSK9 trials, lowering cholesterol was used as a surrogate endpoint. This a concern for the FDA so the drug developers initiated long-term outcomes studies (for alirocumab and evolocumab) to examine primary endpoints of cardiovascular death, myocardial infarction (heart attack), hospitalization for unstable angina, stroke or coronary revascularization. 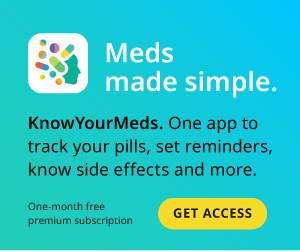 A new survey by InCrowd, provider of real-time market intelligence to life sciences firms, shows that doctors already are considering prescribing the drug to 18% of their patients, with many regarding the drug class as a “triumph of modern genetic engineering,” while also mindful of the drugs’ cost, injectable-only delivery by a healthcare provider and lack of long-term outcomes studies. The side effects and safety profile of this new drug category was not a significant issue for most doctors, according to the InCrowd survey – almost 20% of cardiologists cited side effects and safety as a very low concern. Medpage Today reported that data from the alirocumab clinical trials showed no marked disparities in deaths, serious adverse events (SAEs), or adverse events leading to discontinuation, according to the documents submitted to the FDA. However, with alirocumab, the potential risk of new onset diabetes, neurological events, and vitamin deficiencies were side effects that were noted by the FDA’s expert panel, according to MedPage Today. The panel also discussed the potential risk of diabetes, liver, muscle, and neurocognitive events when evaluating data from the clinical trials of evolocumab. Arguably, the most significant side effect was cost, cited by 79% of doctors who responded to the survey as “the #1 expected barrier to prescribing the drugs.” The annual cost for PCSK9 inhibitors has been estimated at $7,000 to $12,000, according to a Health Affairs editorial. CVS Health estimates that the PCSK9 class could cost the US as much as $150 billion per year. If the FDA approves these drugs, physicians will be able to use them beyond the patient population that is indicated on the label, which is not always reimbursable. So if your doctor recommends them, be sure to read the fine print on the label and ask about coverage — or have a conversation with your physician about the option of waiting for the results of the long-term outcomes trials to gain better understanding of the overall cardiovascular benefits and any unanticipated side effects of these new drugs. Sarah Smedley has 20 years’ experience in communications for the medical, pharmaceutical, biotech, consumer health, fitness, philanthropy and nutrition industries. She is now a freelance writer and frequent contributor to The BROADSHEET, a daily online and bi-weekly print newspaper.